Cars tend to get a little dirty on long hauls. Regardless of whether getting your car washed another item on your to-do list or you want to spruce things up while on a road trip, stopping at a car wash is a good idea. However, if you find yourself in a car wash staring at the clock in a dull waiting room you might be in the wrong place. Today on ShopTalk we’ve put together a list of the coolest, perhaps the best, car washes across the US. 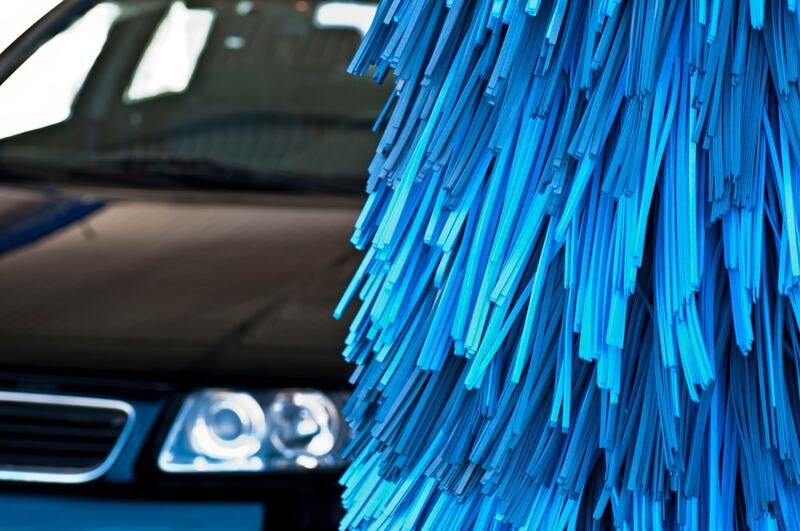 Each of these doubles as a rest stop that not only offers a variety of auto wash services, but also attractions and activities to enjoy while your vehicle is getting all cleaned up. If you fancy a late summer road trip challenge, try visiting them all! As indicated by July 2011 NASCAR Fan Council survey, over 75% of NASCAR fans visit facilities that is partnered with NASCAR. The organization behind the NASCAR Car Wash holds the select permit to authentic NASCAR Car Washes in the U.S. and Canada, giving those NASCAR fans an auto wash that’s wholly unique. Utilizing the latest and greatest in car wash innovation, including a double belt transport framework, NASCAR Car Washes have earned the WaterSavers® distinction from the International Car Wash Association®, which awards endeavors to utilize less water and diminish water contamination. Romeoville, IL is home to the first ever NASCAR Car Wash. However, feel free to check out the other NASCAR Car Washes in various areas. This chain isn’t just limited to Illinois but also has locations in Michigan, Wisconsin, and numerous other states across the nation. Plus… you never know when a NASCAR driver may stop by! Monster Car Wash Bar and Grill is not just a car wash, it is a full service eatery and bar! On the off chance that you have to get done in a rush, the people at Monster will clean your auto from corner to corner in five minutes utilizing their delicate touch system. If you can wait a while your car is washed, feel free to enjoy some free peanuts in the eatery, watch TV, listen to, music recordings or log online. In the event that you get particularly ravenous, Monster offers everything from burgers and burritos to wings and even sushi, alongside with a fully stocked bar highlighting margaritas, mixed drinks, and homebrewed lager. Creature even hosts live music events on certain evenings – making this cool car wash one of the hottest in America. Cromwell’s Classic Car Wash will take you back to those occasions when wild and weird roadside attractions spanned the roads of America. The Vento family offers a wide menu of choice auto washes and all sorts of amusements. Also unique is the open air theme. It’s more than a little station, you’ll find a whole world of statues and props, including interpretations of the Blues Brothers, a telephone stall with Clark Kent changing into Superman, a goliath-sized Santa and one of the world’s largest golf balls. And that’s just the tip of the iceberg. 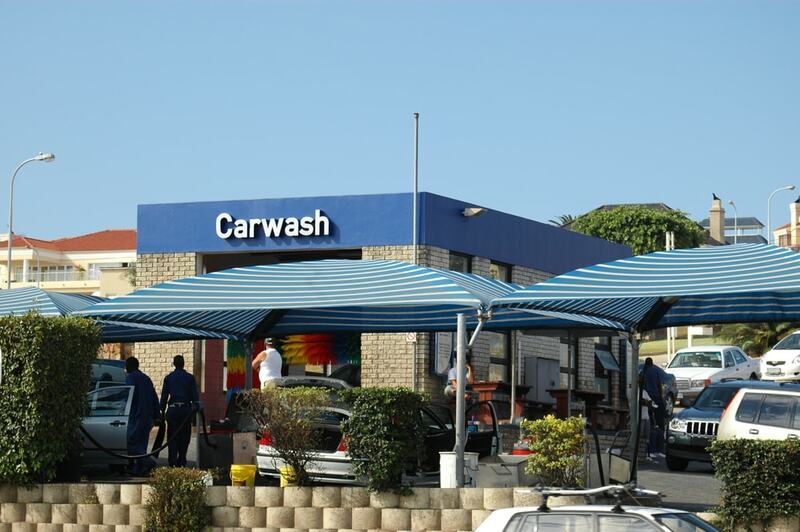 Part vacation destination and full-on car wash, Classic Car Wash is absolutely work checking in and checking out! Dr. Gleem is a fully operational and all inclusive car wash and service center. Notwithstanding the full menu of auto cleaning services, the shop has an auto repair facility where you can get an oil change, minor repairs, and even a state inspection and assessment. While you hold up, you can grab a bite at the well-reviewed Facundo’s Café for breakfast, lunch, or supper. You can even get a trim or shape up at the Dr. Gleem’s in-house salon. This is the car wash that does it all! So there you have it! The best and coolest car washes across the US. It’s not just about getting your car all shiny and new. It’s about finding the ultimate spot to hang your hat (so to speak) when you do. Have you visited any of these? Comment and let us know!